Areen Chakrabarti and his mother, Rumpa Banerjee. Rumpa Banerjee listened in court Wednesday morning as Children's Hospital of Philadelphia physicians pronounced a medical opinion that no parent wants to imagine: that her child shows no signs of activity in his brain. "It was a very hard thing to hear," the Burlington County woman said afterward. 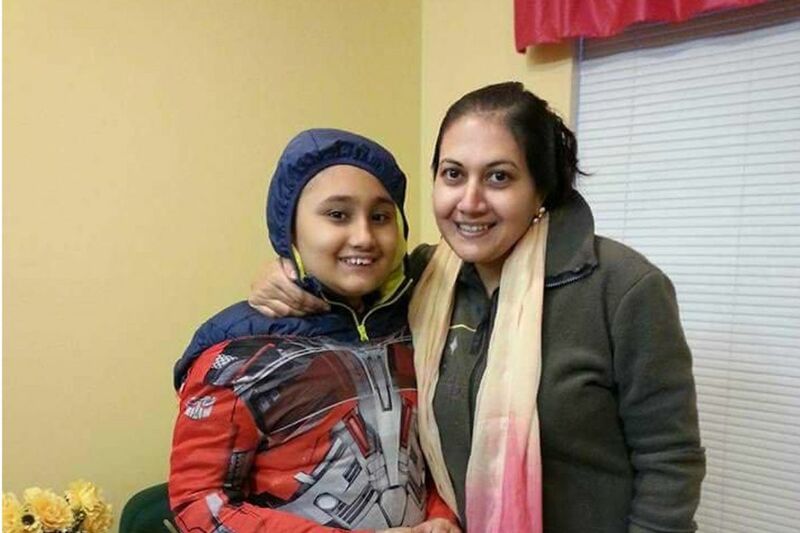 Areen Chakrabarti, 14, has been on life support for more than three weeks, after suffering smoke inhalation and severe brain injury during a fire in the family's Bordentown home. The hospital seeks to remove the boy from a ventilator and other life-sustaining treatment against his mother's wishes, according to Banerjee and her attorney, Christopher Bagnato. The hospital has declined to comment publicly; in court, its attorneys have cited a legal obligation to protect patient privacy. Rumpa Banerjee, the mother of a 14-year-old Burlington County boy who has been declared brain dead at Children’s Hospital of Philadelphia, listens to her attorney, Christopher Bagnato, after a court hearing Wednesday. A judge will determine whether Areen Chakrabarti should be taken off life support. In April, an initial proceeding before Judge Abbe Fletman was closed to the public, and Carrafiello said Wednesday he would do the same, adding that the boy's interests were represented by a court-appointed guardian. After the morning session, Bagnato said two physicians from CHOP testified that Areen is "brain dead." In Pennsylvania and most other states, a patient who suffers from complete, irreversible brain death may be declared legally dead and removed from life support. But in New Jersey, where the family hopes to find a hospital that will admit Areen, lawmakers enacted a religious exclusion that in some cases may limit a physician's authority to declare death. If a patient's faith dictates that he or she is alive so long as the cardiovascular system is functioning, then a physician cannot issue a legal declaration of death based on brain death alone, according to Thaddeus Pope, director of the Health Law Institute at Mitchell Hamline School of Law in St. Paul, Minn. Banerjee and her son are Hindu. When Areen was admitted to CHOP on April 15, physicians urged his mother to consider removing him from life support. After more than a week, the hospital told her the boy would be removed from life support if tests revealed a complete lack of brain activity. Banerjee, who has maintained a near-constant bedside vigil at the hospital, says her son remains aware of her presence. She said when the boy's blood pressure becomes elevated, it falls again when she speaks to him. Bagnato, the attorney for Areen's mother, accused the hospital of seeking to remove Areen from life support in part due to monetary concerns. "They're saying it takes away resources" from other patients, Bagnato said after the hearing. "When you talk about resources, you think about money." Areen, who is on the autism spectrum, ran upstairs during confusion of the April 14 fire and had succumbed to the smoke by the time firefighters could rescue him.